The Systems Biology, Exercise and Health cluster explores the roles of physical activity and fitness on physiological systems and underlying cellular and metabolic mechanisms. Our laboratories and scholars examine how physiologically and psychologically adverse environments, as well as physical injuries, impact the relationships between physical activity and fitness with biological systems. We use discovery based science with a wide range of methodologies, from laboratory studies and interventions in humans to highly controlled research studies in rodents. 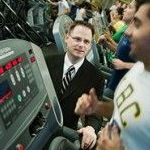 Dr. McKenzie's research program is divided between respiratory exercise physiology in healthy, well-trained athletes under normoxic and hypoxic conditions and clinical research in patients with chronic diseases. Our lab continues to study the mechanisms responsible for the development of hypoxemia during exercise and with exposure to altitude. We also evaluate and attempt to influence functional outcomes in pediatric and adult patients with cancer, following organ transplantation, and with lung and muscle diseases. The Centre for Hip Health and Mobility (CHHM) is a University of British Columbia Senate-approved organization, affiliated with the Vancouver Coastal Health Authority. The research centre improves the lives of Canadians by decreasing the burden of arthritis and fall-related fractures. Our research focus on prevention, detection, and improved treatment of bone and joint diseases so that Canadians can enjoy the freedom that comes with mobility. The Cognitive and Motor Learning (LEARN) Laboratory: the purpose of the LEARN Laboratory is to examine factors that influence human motor development, learning, and performance, with a specific focus on factors related to cognition, functional activities of healthy living, and the development of knowledge across the lifespan. The overall goal of this research is to develop evidence-based tools, strategies, and standards for the development of healthy physical behaviour and expert performance across the lifespan. The LEARN Laboratory is a member of the Physical Activity and Chronic Disease Prevention Unit. 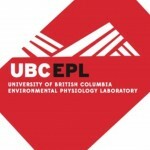 The Environmental Physiology Laboratory is a new research facility at the University of British Columbia, affiliated with the School of Kinesiology, and the Division of Sports Medicine, in the Department of Family Practice at the University of British Columbia. Our mandate is research, education and clinical service in the areas of environmental physiology, exercise physiology, sports medicine and altitude medicine. The focus of the Health and Integrative Physiology (HIP) laboratory is on the interactions between the respiratory and cardiovascular systems. Work in our lab is directed at understanding the physiological basis and importance of cardio-respiratory interactions in different conditions such as exercise, disease, and hypoxia. We also perform studies in patient groups to further understand the potential therapeutic effects of exercise and physical activity. This laboratory evaluates the effects of improvements in cardiovascular function on the health status and Quality of Life of children, adolescents, adults, the elderly and patients with chronic disease and/or disability (including individuals with heart disease, organ transplantation, and spinal cord injury). 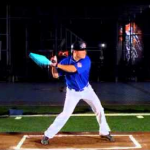 We also specialize in the evaluation and training of high performance able-bodied and disabled athletes.